Flower power comes to Ely! Do join us on Saturday 23 July to find out all about the plants of Ely Common. 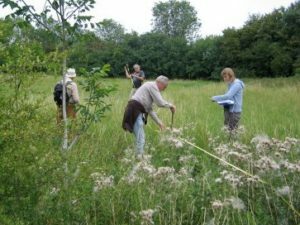 Working with Dr Edmund Tanner from Cambridge University we’ll learn how to identify what’s there and collect important baseline data we can then use to monitor efforts to restore the meadow there. Meet in the Environment Agency car park off Prickwillow Road at 10am. Bring lunch, water and sunblock/rain gear (as appropriate). We aim to finish by 4pm. Ninety plant species found on Ely Common!